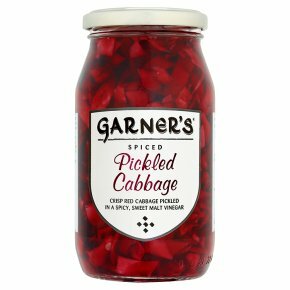 Crisp Red Cabbage Pickled in a Spicy, Sweet Malt Vinegar. Suitable for vegetarians and vegans.Spiced delight. A vibrant and crunchy side dish or salad. The perfect match for hot roasts or cold meats.